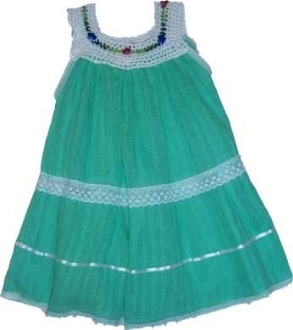 Classic light weight children's gasa dress. These are our most popular little girl's dresses and I'm sure you can see why! The cuteness is overwhelming. Embroidery color varies. 100% Cotton. Made in Ecuador.